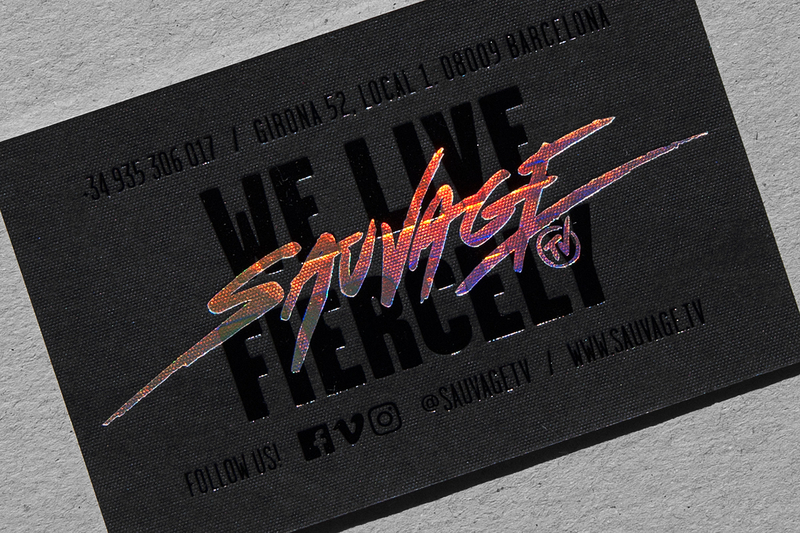 Mubien Studio designed and printed these business cards for Sauvage.tv, a creative production and animation studio in Barcelona, Spain. 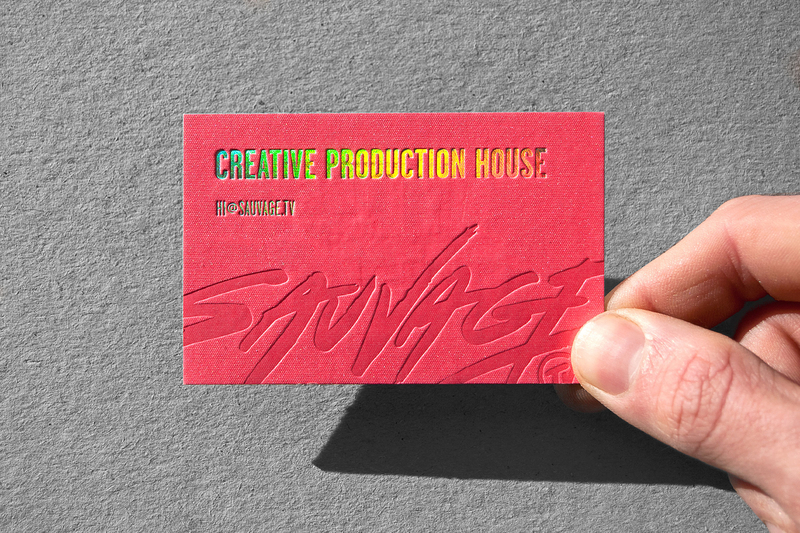 The business card design was electrifying and super catchy! 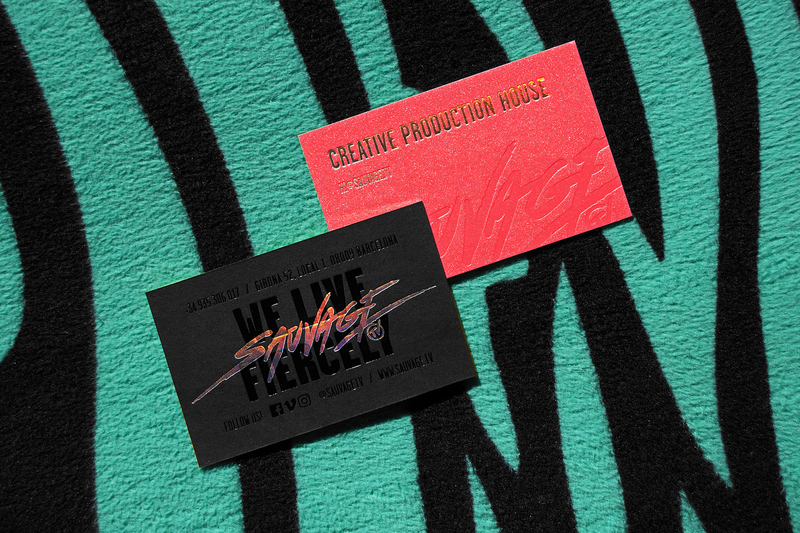 Mubien Studio cleverly applied black and red color combination to send the message across: black and holographic foil stamping over Gmund Action Go to Hell Black and debossed + holographic foil stamping over Gmund Action Pastel Heart Attack. 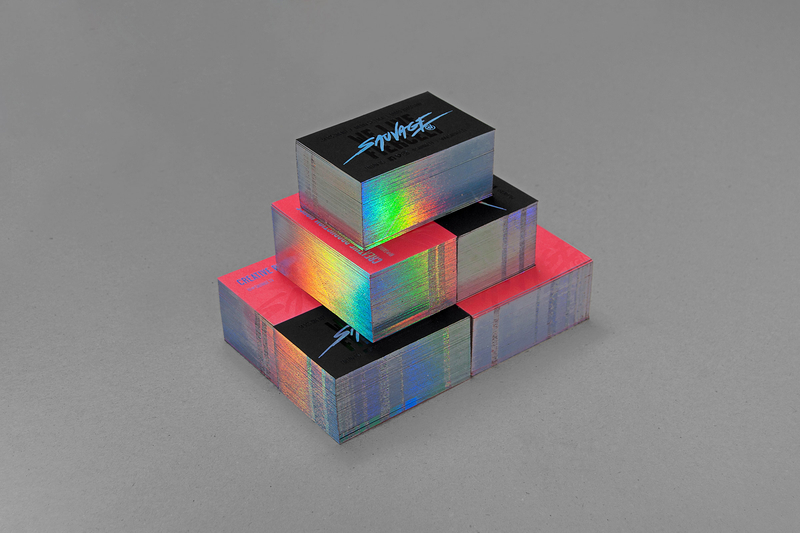 These business cards were printed using 700g card stock with holographic edges. 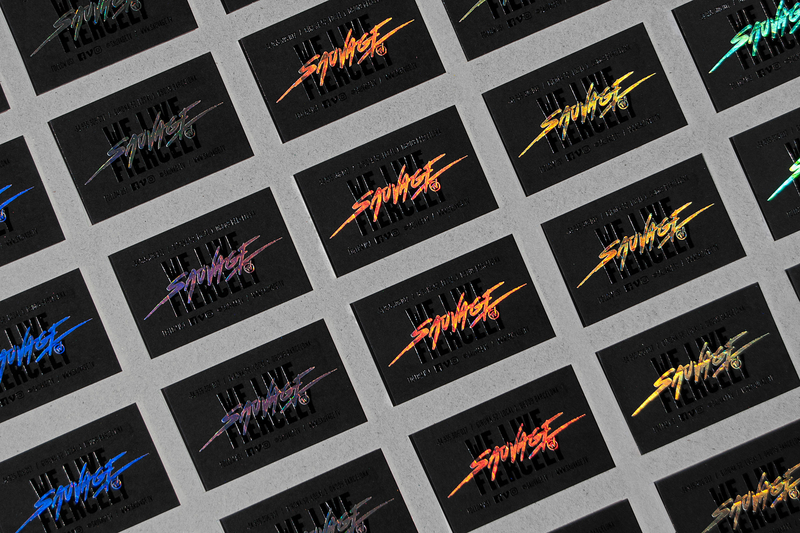 The hologram foiling was also applied to the logo, bringing out its edgy, energetic vibe that’s bound to capture people’s attention!